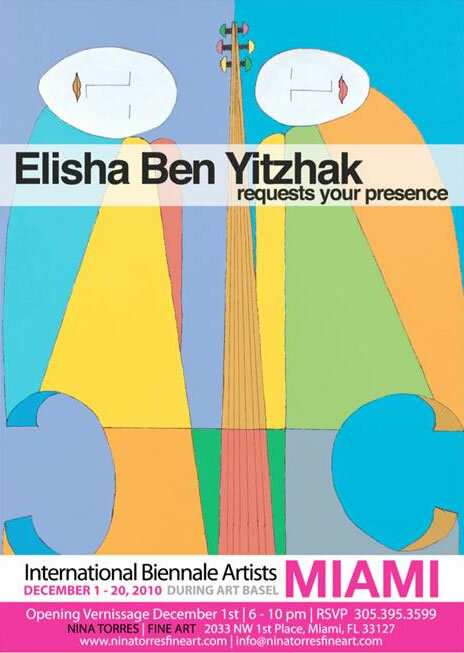 Elisha Ben-Yitzhak requests your presence at the International Biennale Artists MIAMI exhibition featuring 46 artists from 17 countries. The exhibition’s objective is to honor artists whom have been previously selected to exhibit at the Florence Biennale. Please visit the website for more information and to view an online catalog of the International Biennale Artists MIAMI exhibition.